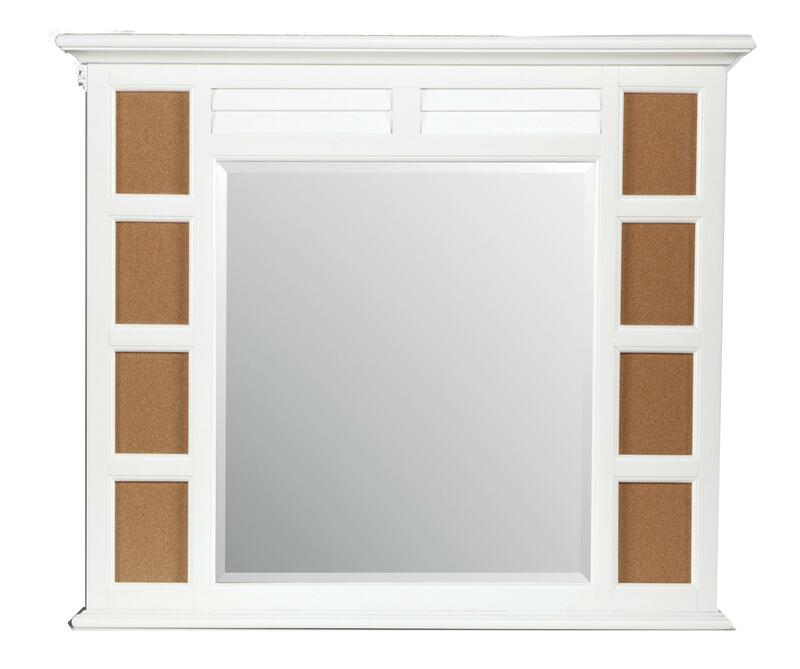 Decorate the walls of your child's bedroom with this versatile dresser mirror. Bordered by a tapered wood frame, this cottage-style mirror features cork panel inserts on each side for decorating and organizing. A perfect fit atop a matching storage dresser, this mirror completes the look and function of a bedroom. The Belmar Youth Photo Dresser Mirror by Holland House at Miskelly Furniture in the Jackson, Pearl, Madison, Ridgeland, Flowood Mississippi area. Product availability may vary. Contact us for the most current availability on this product.